How do I Process Employee Bonus Checks? Although you can increase the employee's regular paycheck to include the bonus amount, most churches prefer to write a separate bonus check. 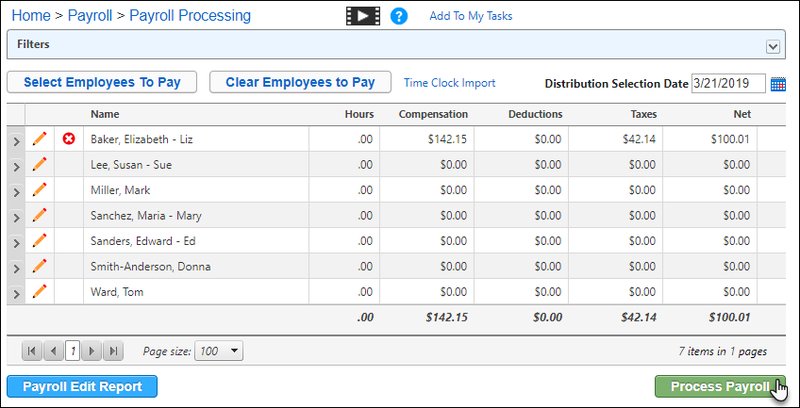 The tutorial guides you through processing separate bonus checks for your employees. The following steps walk you through setting up a "Bonus" pay distribution for processing bonus checks. This is done if you want the expense for the bonus checks to be distributed to a different expense account than what is specified on the Salary/Hourly(Regular Wages) compensation distribution. If you want to process the bonus checks through the same account number specified on Salary/Hourly(Regular Wages), then proceed to the Run the Payroll Bonus Checks section. 1. 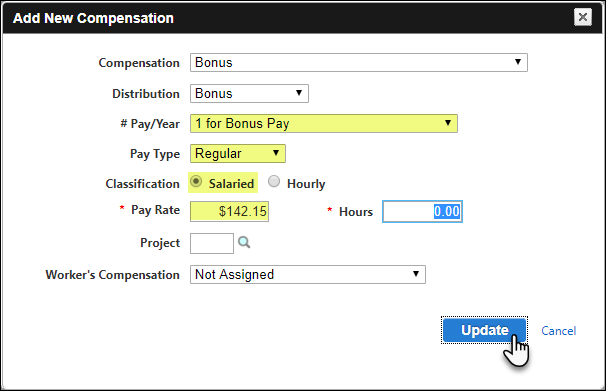 From the Payroll menu, select Modify -> Compensation Information. 3. Click the Edit icon next to the Bonus compensation. 4. Click the Add New Distribution icon-link. 5. Type a description in the Name field or keep the default set to "Bonus". NOTE: The description entered here appears on the check stub or voucher. 6. Click the Edit icon next to the Regular Pay pay type. 7. Enter the Fund, Department, and Account number for the Regular Pay and then click the Update button. 8. Repeat the process to assign the Social Security and Medicare accounts and then click the OK button when finished. 9. Click the Update button to save the compensation. 1. From the Payroll menu, select Manage -> Payroll Processing. 3. Click the Edit icon next to an Employee name. 4. Delete all Compensations, Deductions, and Non-Cash compensations. NOTE: Deleting information on the Payroll Processing page only changes the information for this payroll run and not the information stored on the employee's record. 5. Click the Add New Compensation icon-link. NOTE: If you did not setup a Bonus pay compensation, you can use a "Salary/Hourly(Regular wages)" compensation. 7. 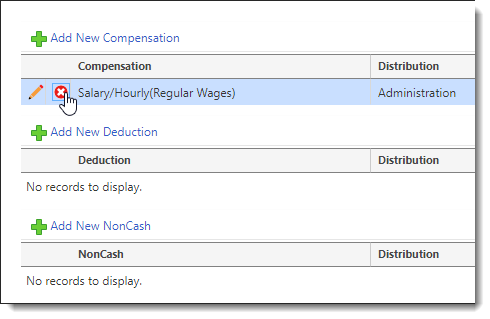 Select the # Pay/Year, Pay Type, and Classification fields as "1 for Bonus Pay", "Regular", and "Salaried". Enter the gross pay in the Pay Rate field and then click the Update button when finished. To give a net amount (e.g. $100) as a bonus, divide the net amount by a conversion number (e.g. 0.7035) to calculate the Pay Rate. 1. Total all the taxes (Federal 22% + Social Security 6.2% + Medicare 1.45% = Total Taxes 29.65%). 2. Subtract the total taxes from 100% (100% - 29.65% = 70.35%). 3. Move the decimal point over two spaces to convert the percentage to a decimal value (70.35% = 0.7035). NOTE: The conversion number is different depending on the tax rates and if your state/local taxes are withheld from your bonus checks. 8. Review the bonus check information and then click the Update button to save your changes. 9. 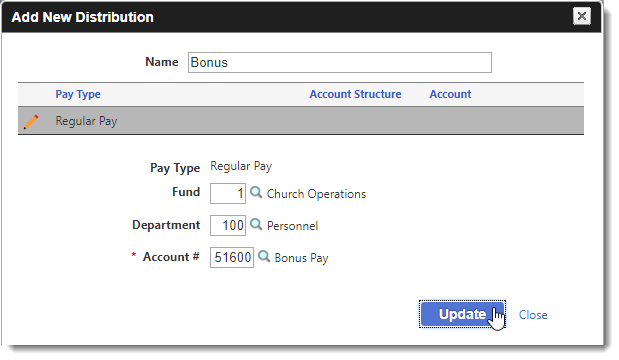 The Bonus Check appears on the Payroll Processing page. Review the Compensation, Taxes, and Net amounts. Enter other employee bonus checks as appropriate. When you are finished, click the Process Payroll button and process the checks as you normally would.